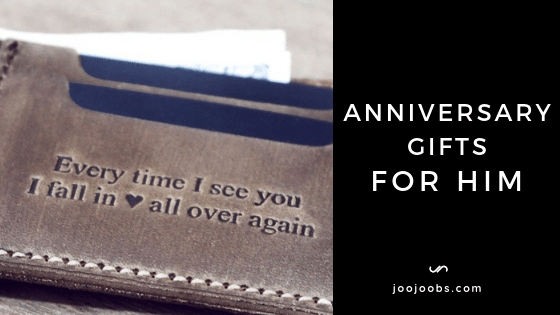 How to Personalized Your Wallet? 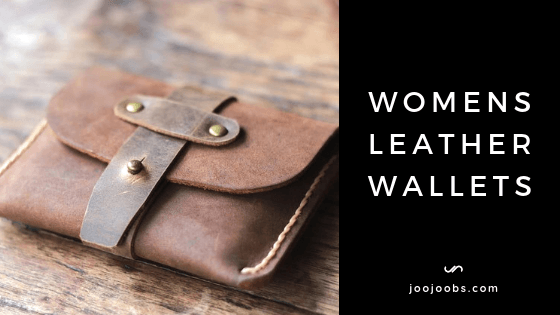 Don't like big, bulky wallets? Neither do we. Does sitting on your wallet all day give you back pain? This problem is more common than you probably think. 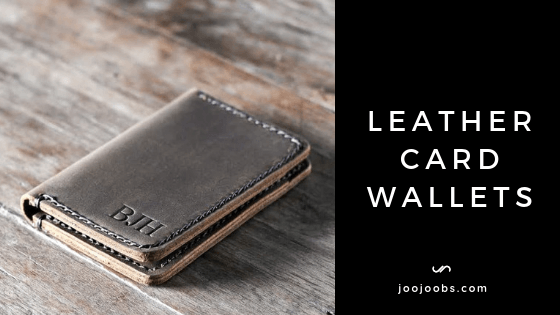 No worries, we've designed over a dozen awesome card wallet designs that aren't bulky and that can be used as safe front pocket wallets. 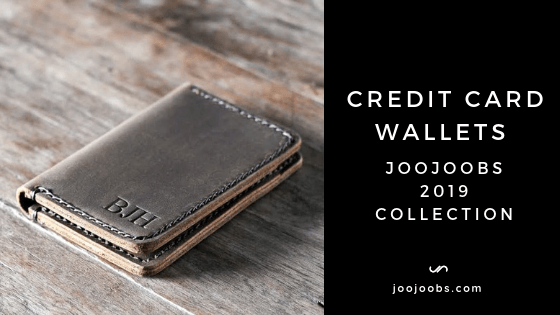 Credit Card Wallets are also called credit card holders or card wallets for short. 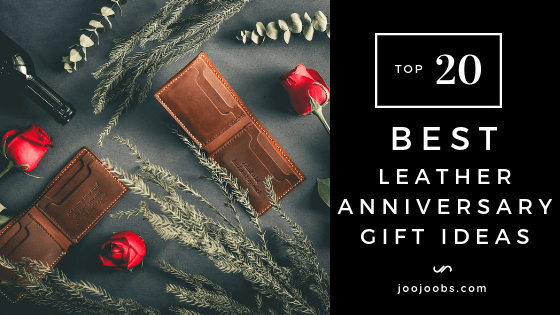 Their main differentiating characteristic from bifold wallets is the lack of a dedicated, unfolded cash pocket. 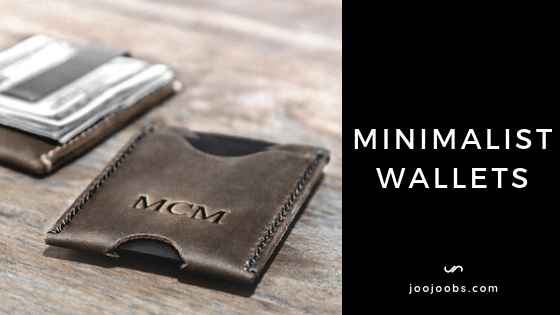 Their main benefit over a traditional mens bifold wallet is their smaller, compact size. 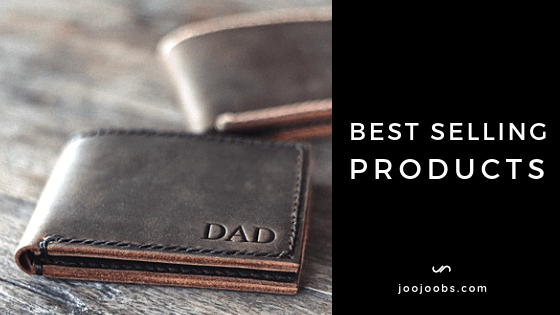 The main purpose of this article is to assist customers in purchasing the correct credit card wallet. We know our website is a little confusing, so I've sorted each design into easy to understand categories. 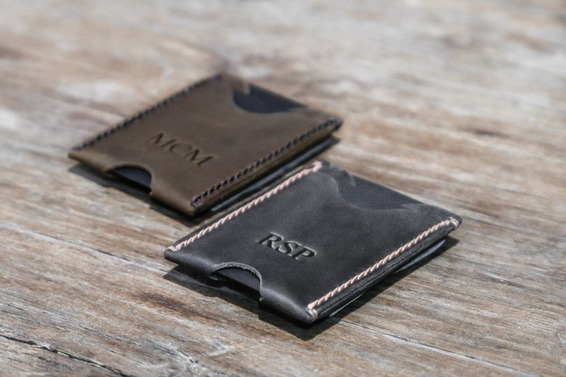 Below are our two most popular card wallets. 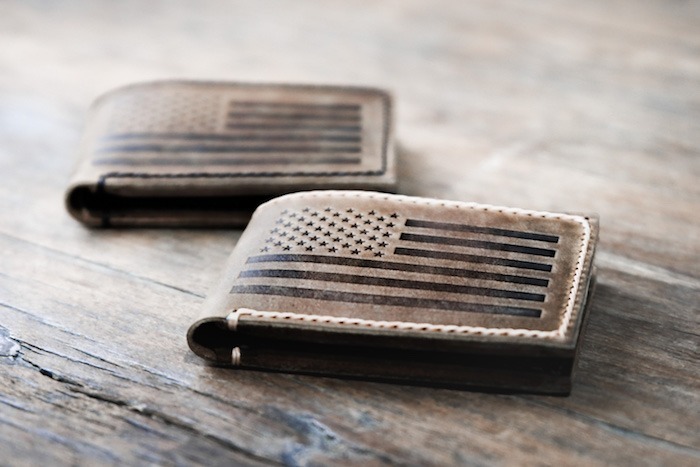 Both work as excellent day to day card wallets. 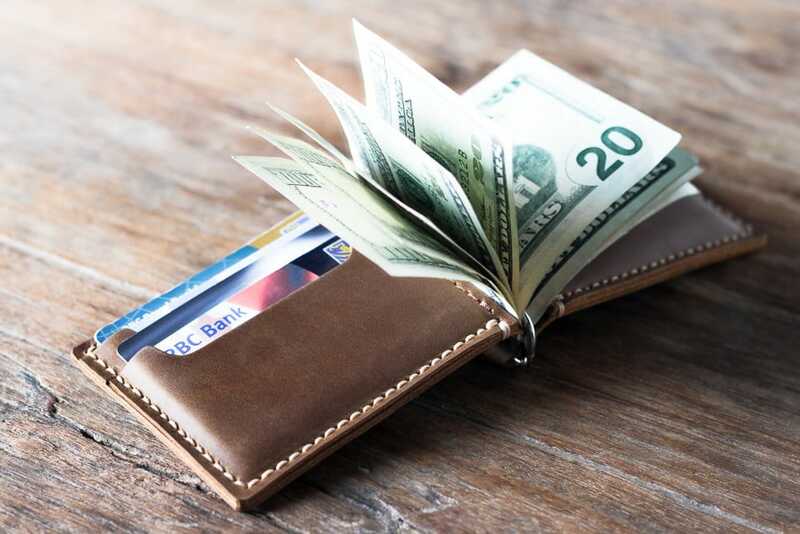 As a card wallet, you do need to fold your cash. The main difference between the two designs are their inside card layouts. 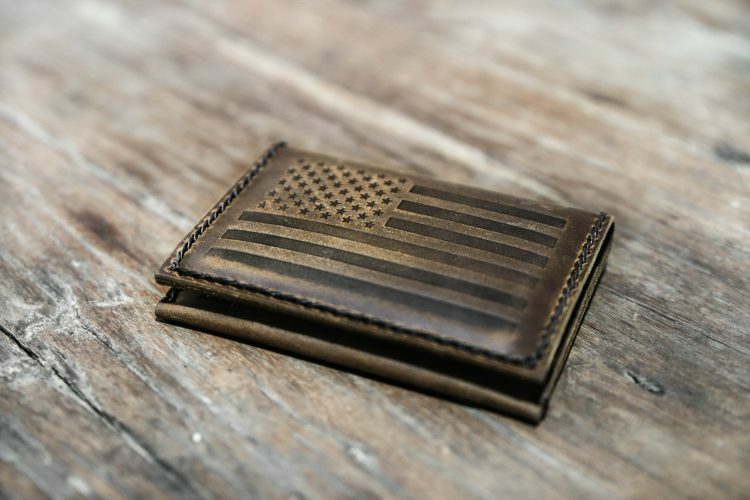 The above video gives you a close and personal look at our original #010 card wallet. 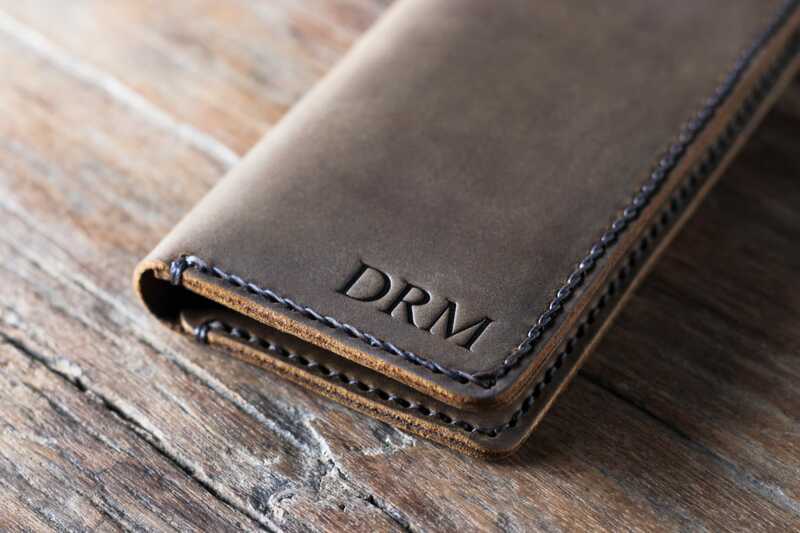 All of our wallets are handmade from premium distressed leather​ and a waxed nylon thread. 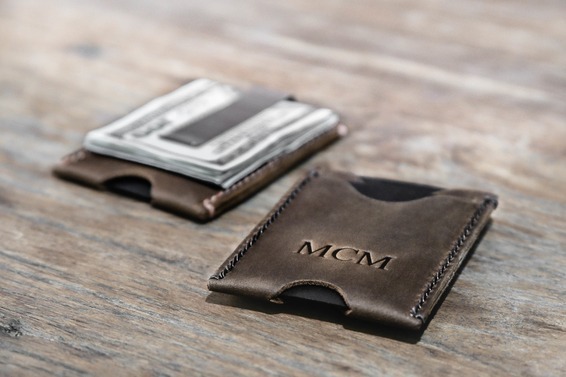 When you add a money clip to a card wallet, the end result is magic. 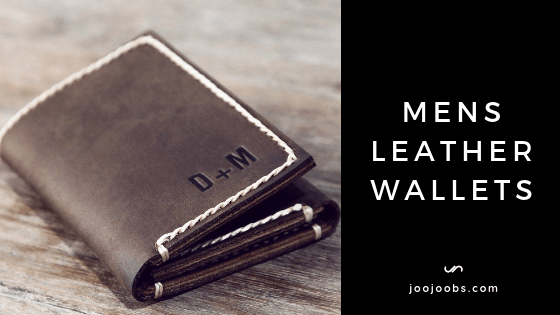 You're able to maintain a fully functional wallet that fits perfectly in your front jeans pocket with an incredibly slim profile. 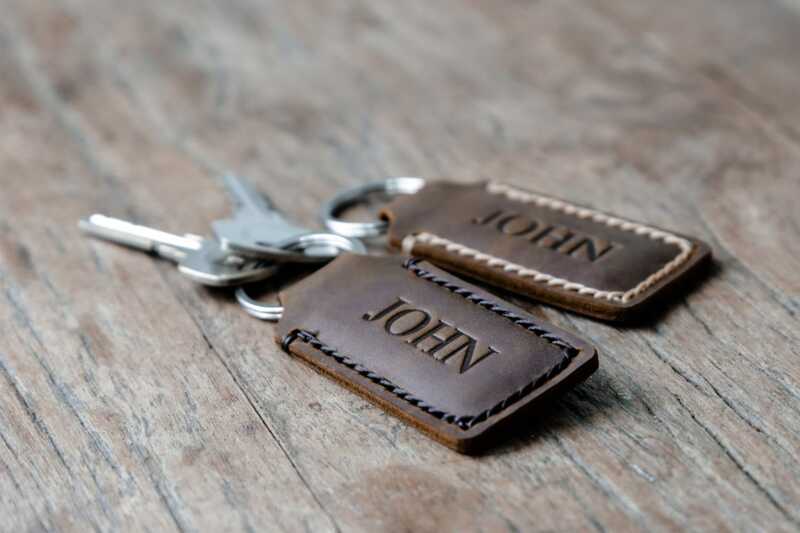 We offer this design in two colors: our original distressed leather and our dark distressed leather. 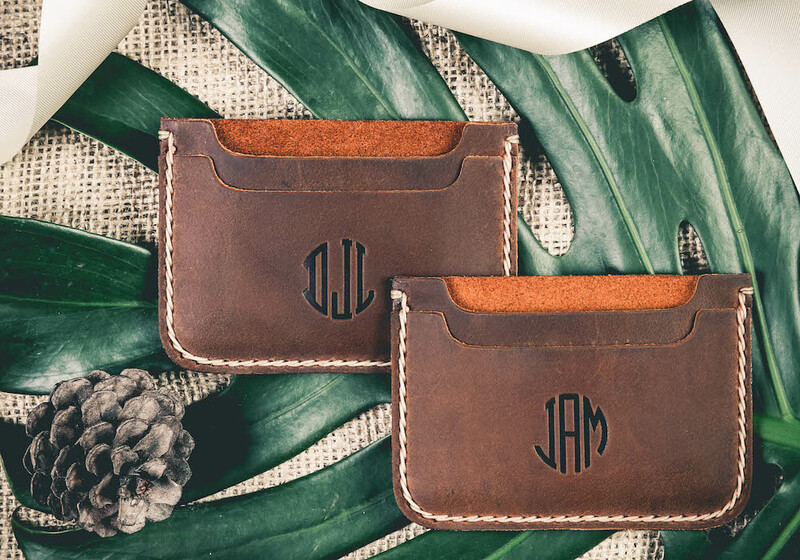 Both of these designs can be used to carry lots of business cards or as hybrid wallet/business card holder. 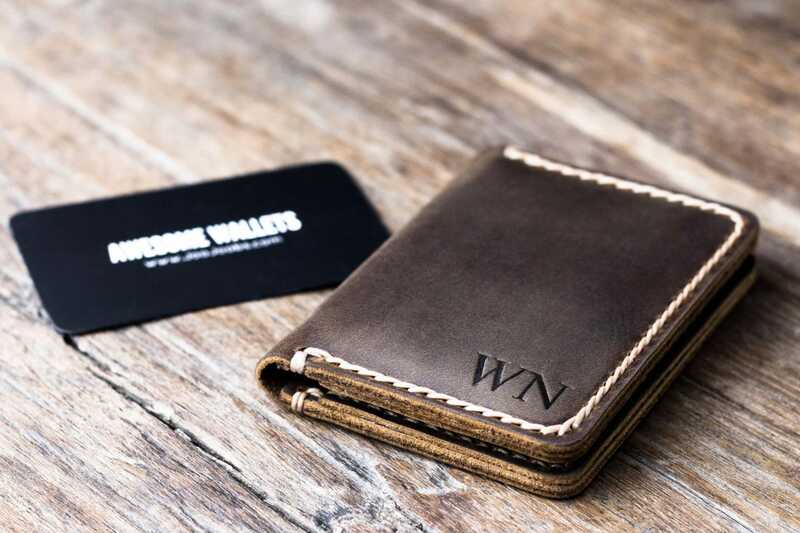 The Envelop style wallet (#014) works best if you want to find the design that carries the most business cards. 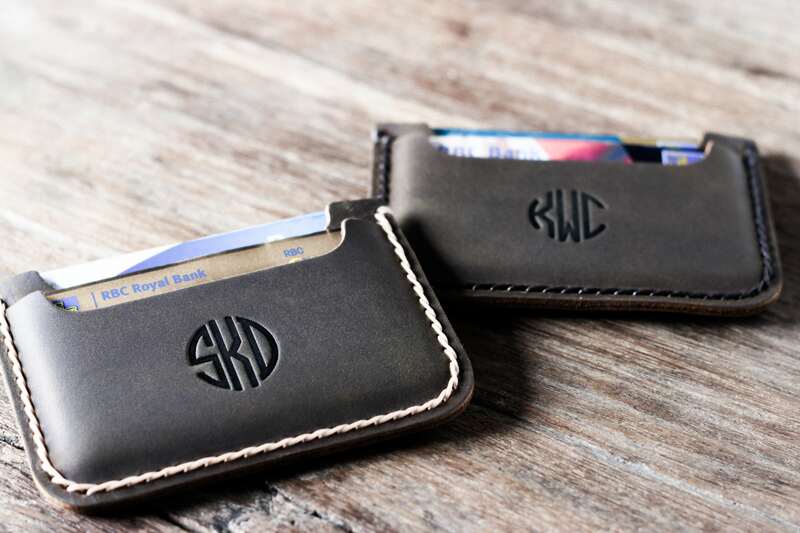 Its single pocket design allows you to carry 20+ cards while staying as slim as possible. 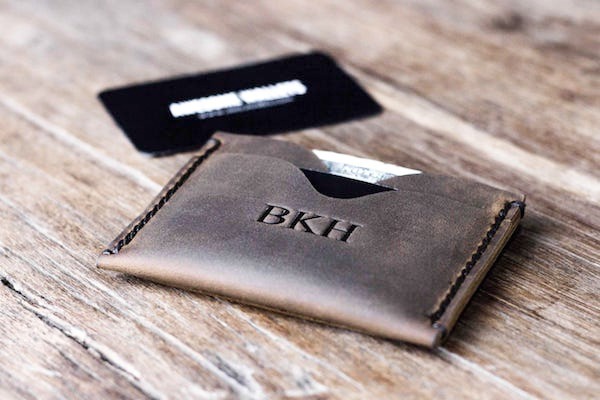 Our minimalist sleeve wallet design can also be utilized for business cards. 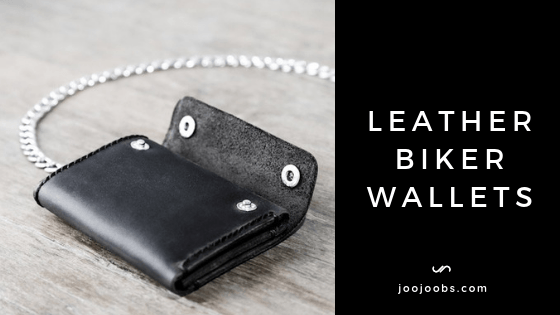 If you just wanting to carry a few business cards and not have a bulky case in your pocket, this card holder is perfect for just that. They're super slim measuring 3" by 4". 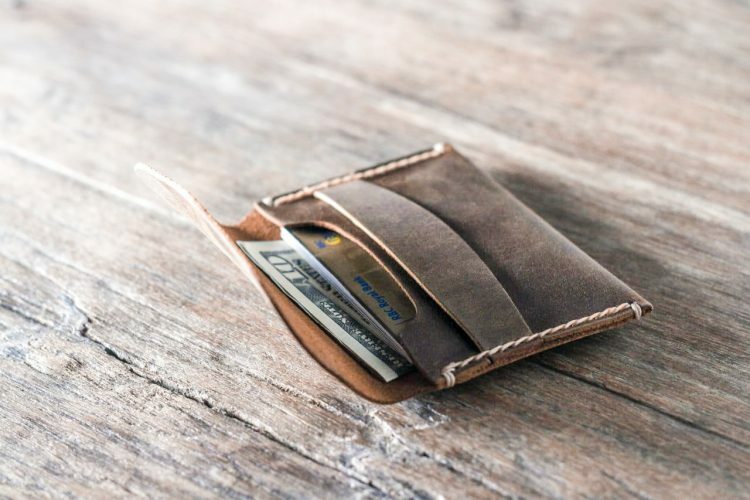 We also have one more vertical minimalist credit card holder, but its only found in our Etsy shop. 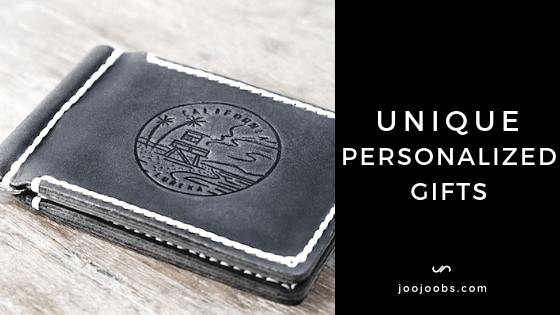 I've included this video so you can see Vertical Business Card Holder (#023) up close. 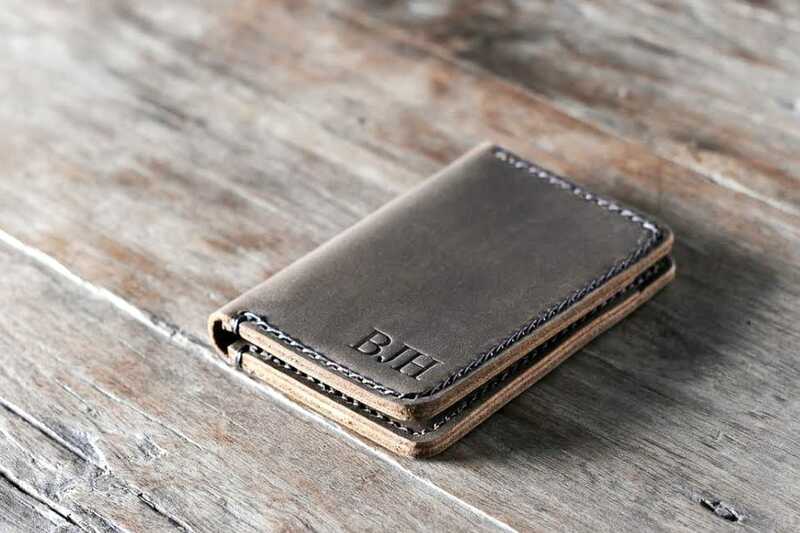 If you haven't guessed it by now, we love branding images, initials and quotes onto the wallets. Its fun for us and its fun for the customer. 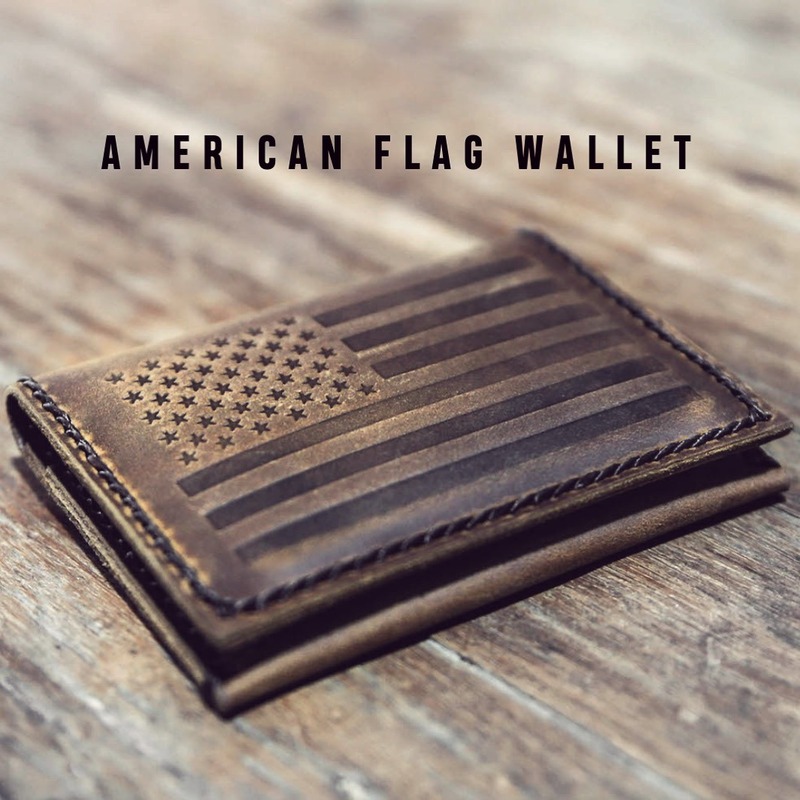 We currently offer these 3 flag wallets. I tried branding the Australian Flag but I didn't have much success. 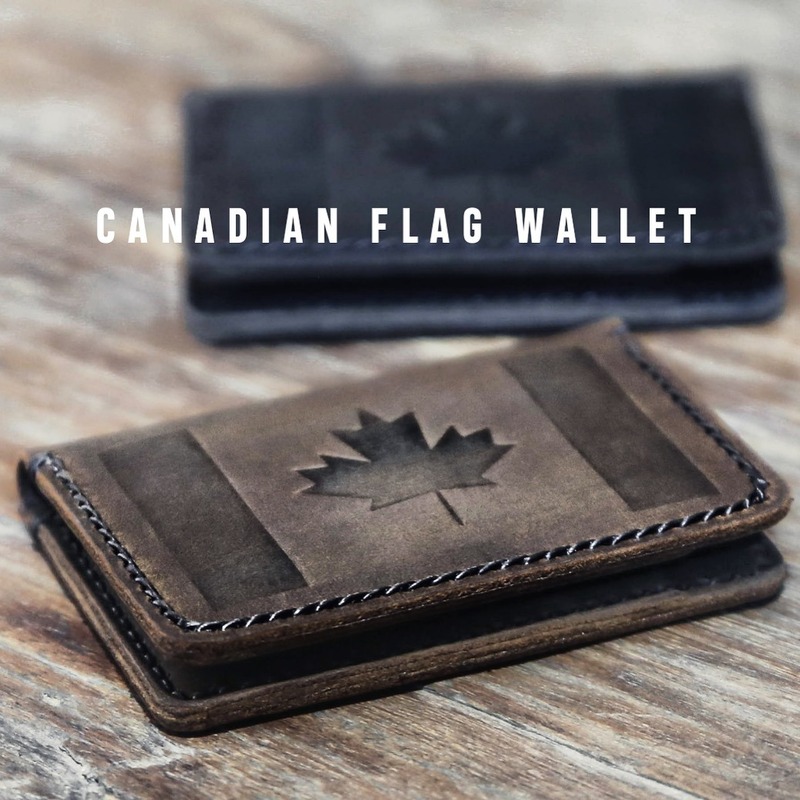 You are still able to add additional personalization on the inside or the back of the flag wallets. 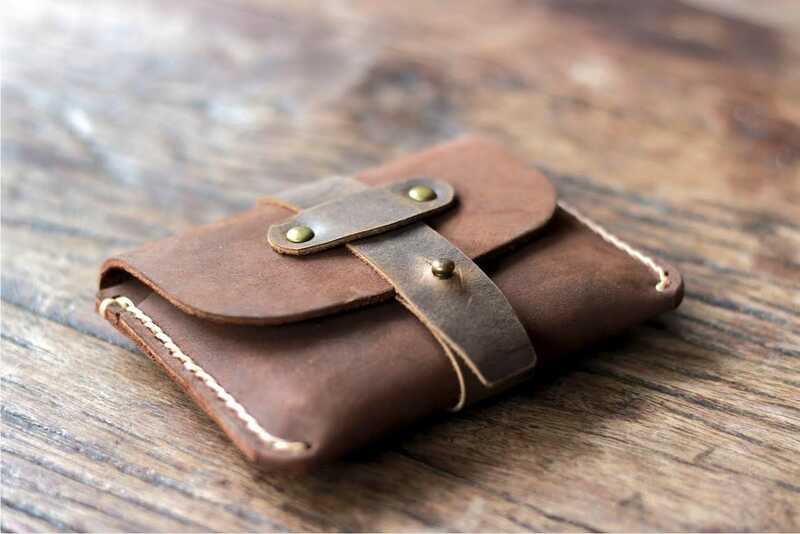 Our last credit card wallet is our most unique one of the bunch, the Treasure Chest Credit Card Wallet. 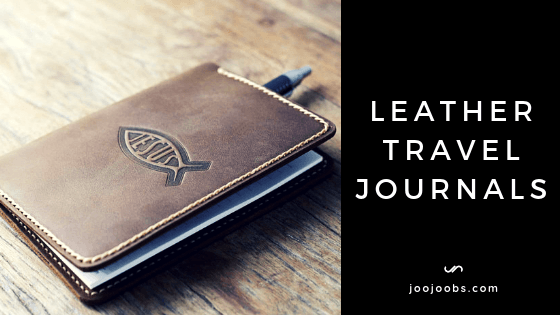 Our father, Noi, has been making leather products for 30+ years. 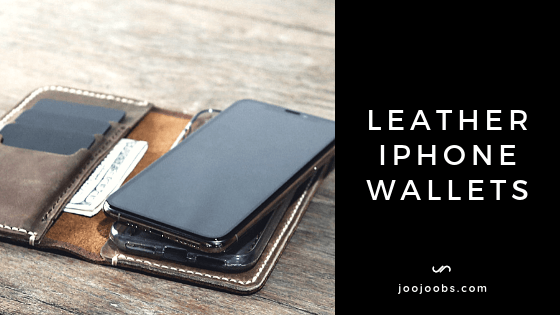 When we started JooJoobs, we were mainly focused on leather iPhone wallets. In Noi's spare time, he made this design and gave it to me. At the time, I thought it was never going to sell. I was dead wrong! 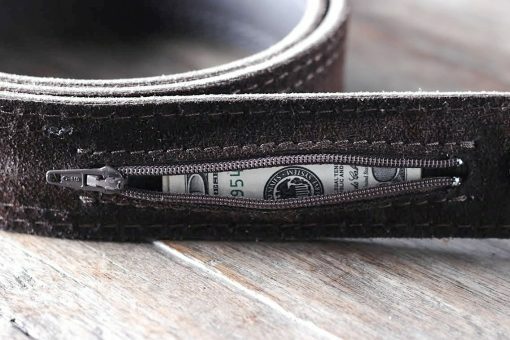 This wallet trended on Etsy for over 6 months and probably would still be trending today if Etsy didn't discontinue this feature. 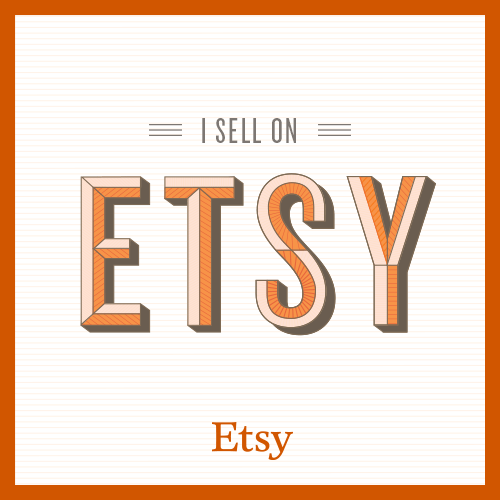 To this day, its been favorited on Etsy by 32,000 people. 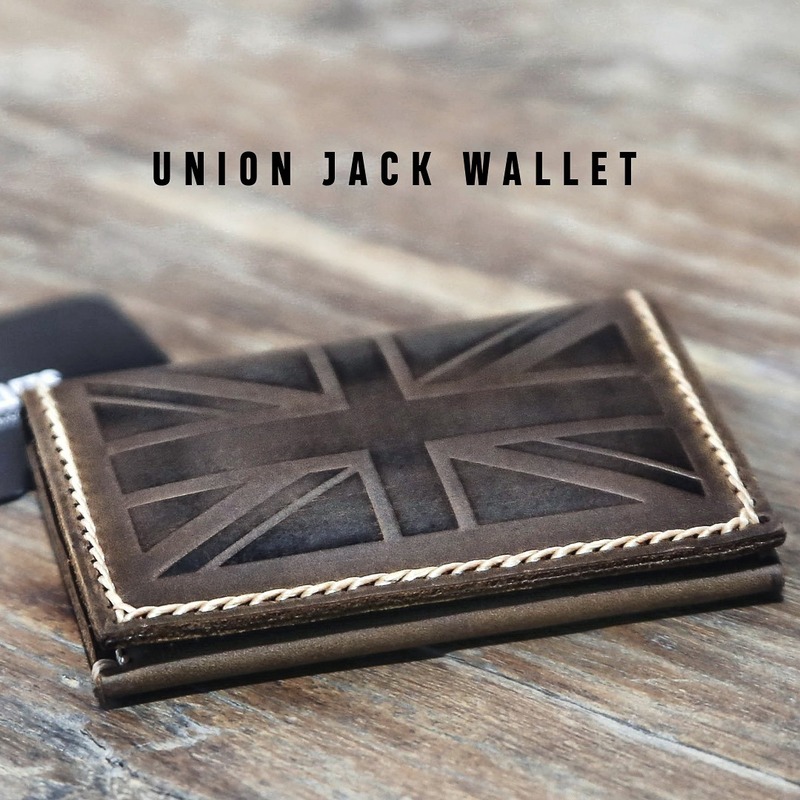 The leather used to make the Treasure Chest Wallet is different than the usual distressed leather we use for the majority of our designs. 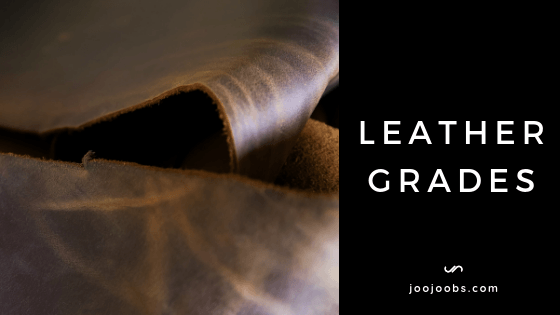 This leather is called Nubuck which is a full grain leather that looks like suede, but its not suede, though many people do confuse the two. 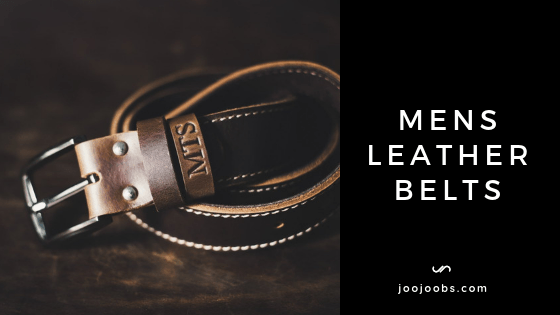 Nubuck leather is very strong and similar in characteristics to aniline leather. 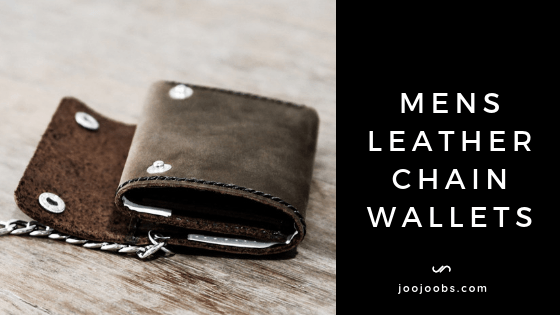 To personalize your wallet, select personalized from the drop-down menu and leave your instructions in the text box provided. You can choose any font that want, just so long as its free for us to download. 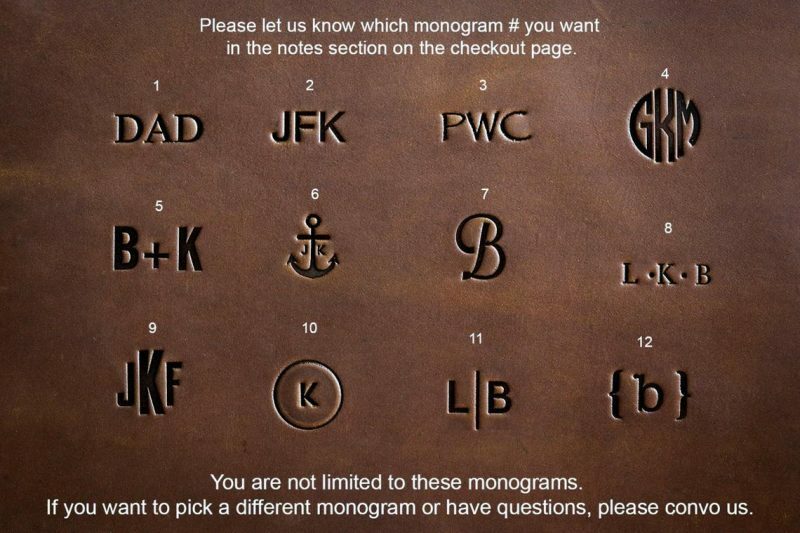 We've also included a set of 12 monograms you can choose from. When in doubt, just order, leave us your instructions and if you want to clarify your order a bit more, send us an email with the order number and your questions. 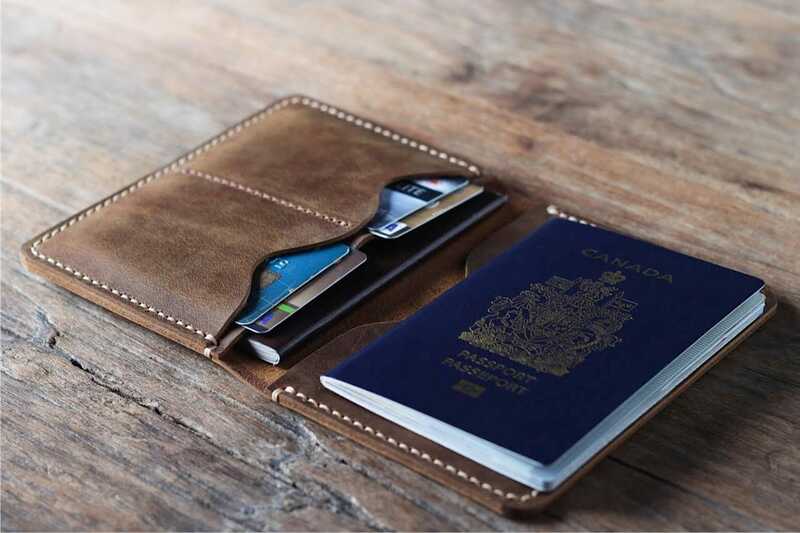 If you have an idea for a credit card wallet design that nobody seems to make, please pitch us the idea. We love making new designs especially customers' requests.